A couple weeks ago a friend of mine retired after 30 years at her job. 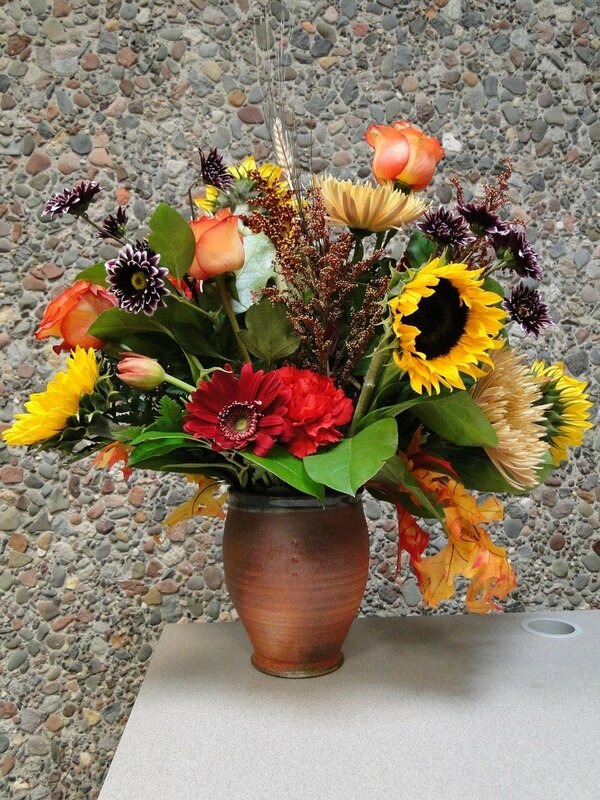 Her work group chipped in and got her a vase from me and this gorgeous fall floral arrangement. I love how the flowers really bring out the toasty colors of the vase. Congratulations on your retirement Sheryl!! 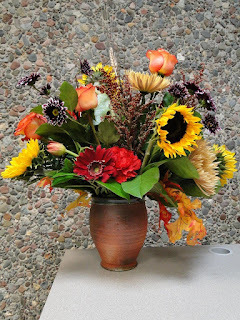 The vase and the flowers are beautiful, they really do work very well together.